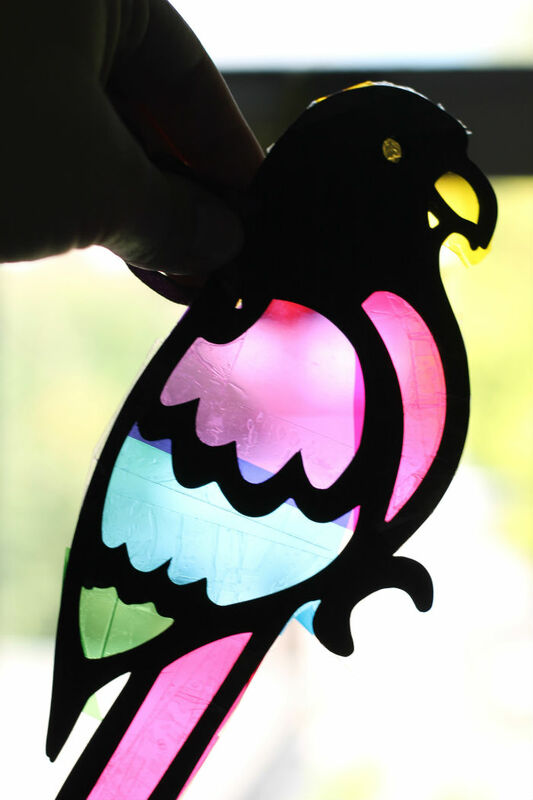 I love sun catcher crafts, the effect of the light streaming through the finished product is always so beautiful. Whether it has been immaculately made, or thrown together by a small toddler – the combination of the light and colours just makes it awesome either way! We spent a relaxing hour after school making these stained glass sun catchers a couple of weeks ago, and they are still proudly hanging up in some of the windows. 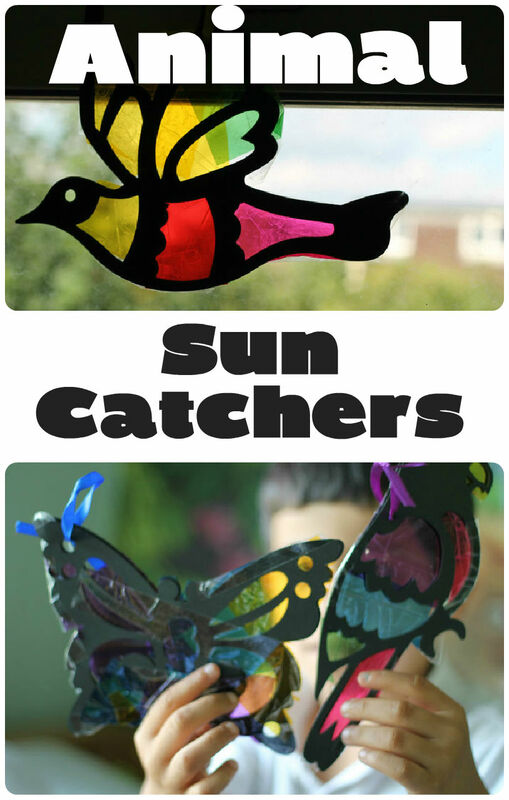 All of our sun catchers are different types of flying animals, so butterfly, parrots and other birds. We used a kit from Baker Ross, which we had received in our latest ambassador box. The kits include the black templates and lots of differently coloured cellophane pieces, along with ribbon to hang up your finished creations. The kit is £3.95 for a pack of 6 or £10.80 for a pack of 18, and there are plenty of other stained glass kits available if you would like to try a different design. Baker Ross ship internationally to most countries but if you don’t have access to the kits you could create your own templates using thick black paper or card it would just be a little more time consuming. 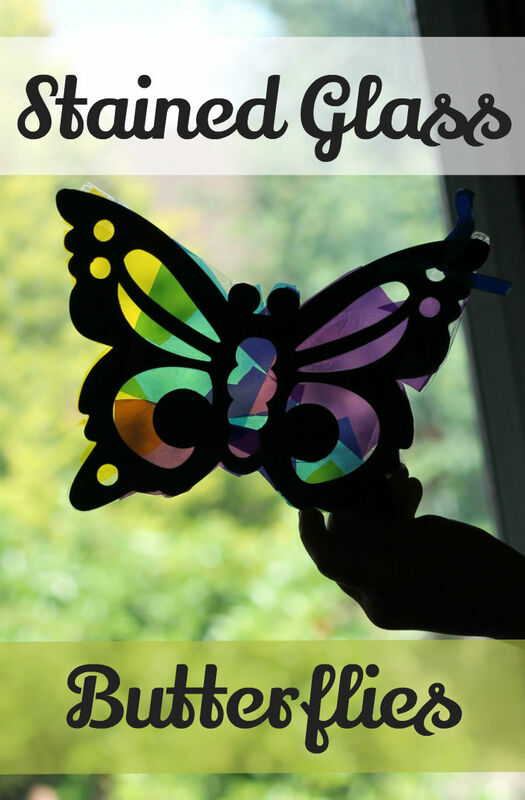 To make each stained glass sun catcher you will need two matching black templates, as these will sandwich around the coloured cellophane pieces holding it all together. Mr T quickly chose the butterfly and Mr Z chose a few birds. They both enjoyed choosing all the colours that they wanted for their stained glass, and helped to cut the pieces down to size. You ideally want to aim for a different colour in each panel area within the black template for the full stained glass effect. The boys struggled to fit everything perfectly, but Mr Z’s was close enough and he was happy with it. It can be a bit fiddly for them to cut the pieces to the exact size and shape needed. Mr T did not worry too much about that at all, he was merrily sticking everything on without worrying about the black lines or the different areas at all, and it actually gave a very pretty result. So if they want to do it their own way, or can’t get it 100% accurate it really doesn’t matter. 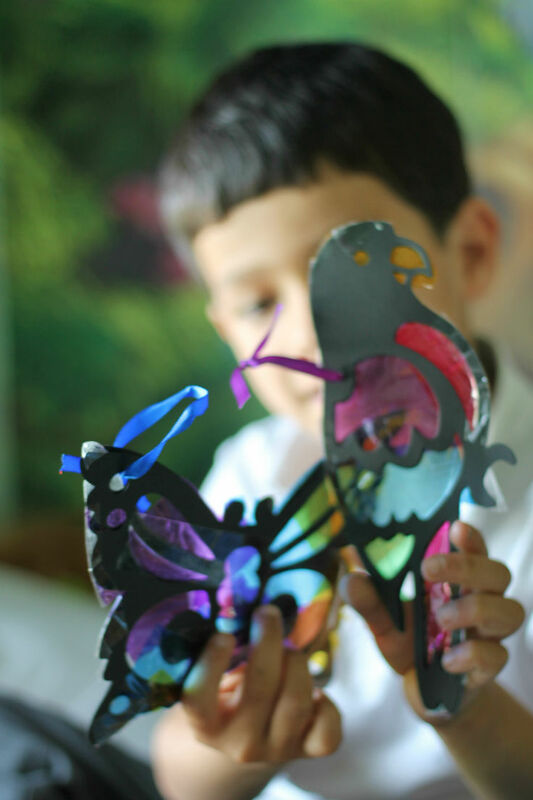 This will depend on the personality of the child whether they are a perfectionist, or wild and crazy with their art work! This is Mr T’s mish mash butterfly and it came out great! By over lapping different sheets of cellophane that also works in an opportunity to talk about colouring mixing, as you can see there in his butterfly wings there is blue and yellow overlapping making sections of green and areas of darker shades where the same colour has over lapped itself. 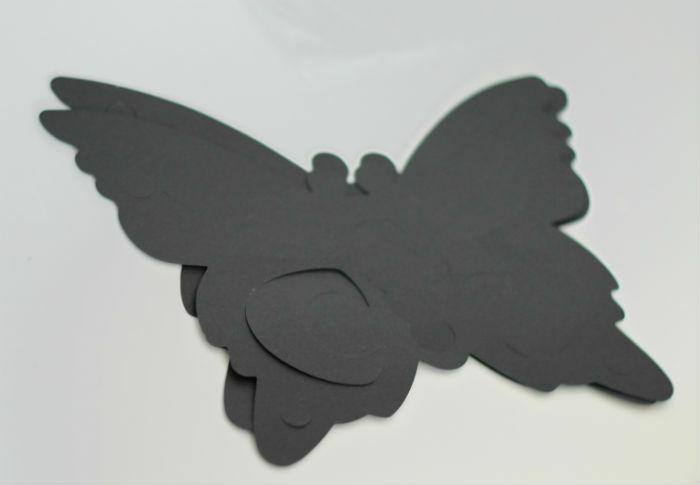 If your child is a more precise worker then the butterfly is also a great chance to work on the concept of symmetry in a fun way. 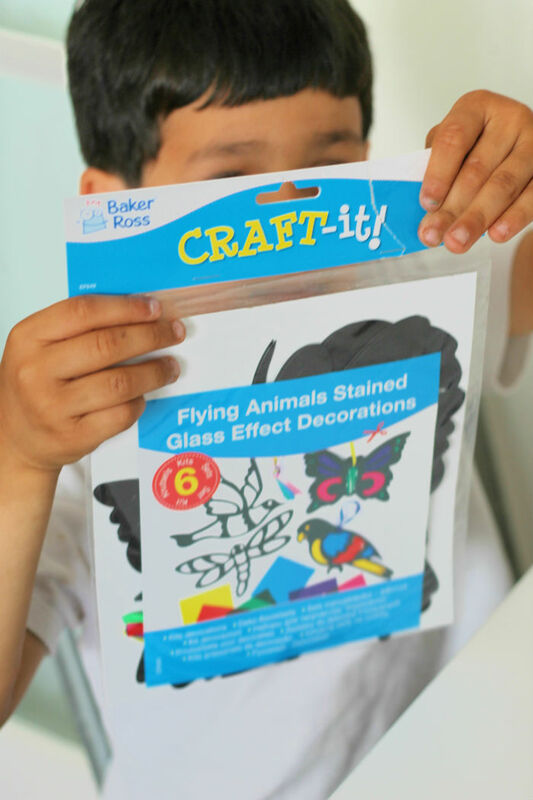 It’s suggested to use pva glue to attach the cellophane pieces for this craft. These small tubes would be ideal. We used clear tape on this occasion, just because the boys were very eager to do the activity and I had somehow misplaced our glue! With cellotape it’s a little more fiddly, but it works well enough and as the tape is clear it didn’t much affect the finished result. The boys are very proud of their finished creations, and they look so pretty in their windows. It’s a perfect craft for summer when there is so much sun light streaming through to make them twinkle with all the colours of the rainbow! I would recommend the kits. It’s so convenient to have all the materials there when you want to quickly grab the opportunity to craft and they are great value! I’m sure we’ll be making more of these in future! What have your kids enjoyed making? Let me know! These are so pretty. I will have to have a look out for this kit as I’m sure my son would love to have a go. Thanks for linking up to #Playtime too! These are so pretty! Pinning! 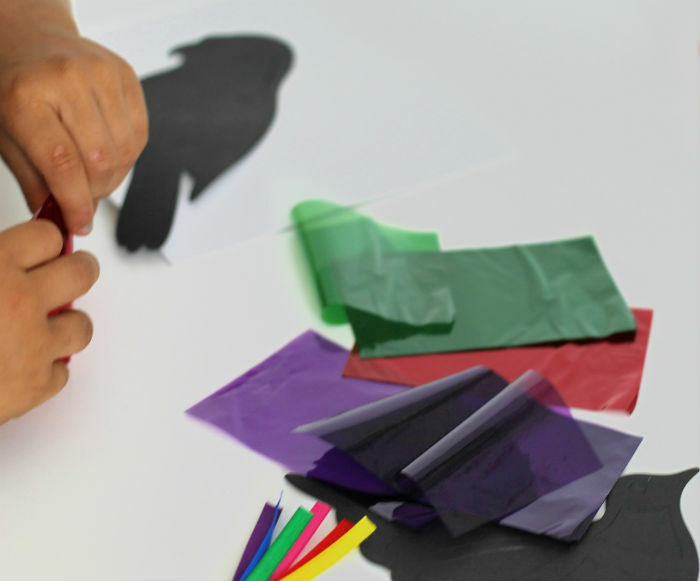 Erica Loop recently posted…Paper Bag Puppets: Kids’ Photo Art Activity! They look great and must be really bright and colourful hanging in the window. I do like sun catchers. Karen Bell recently posted…Summer holidays are here! I think these are super cool to do. Okay to be honest, I want to make one first, then let my kids enjoy the fun. I love this! I might have to try this once we get home from vacation!! [email protected] recently posted…Review: Philips SpeedCare Iron….